Owning a successful, home based business is a dream for many entrepreneurs. After all, I know that I once hated my 40 minute morning commute and my 60-80 minute evening commute! (And life was a mess when my six-year old daughter became sick at school!) 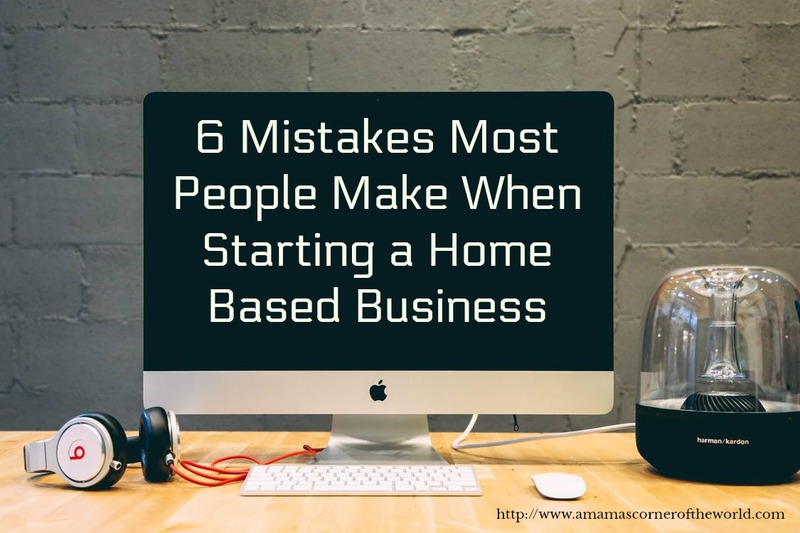 Traffic headaches, childcare woes, missing recitals and shuttling my child off with another parent for sporting events--and a desire to build something of my own for my family--all weighed heavily into my decision to launch my own home based business. Ten years later, I continue my freelance writing and consulting career under my business name, and my family runs an internet based gift shop--all from home. 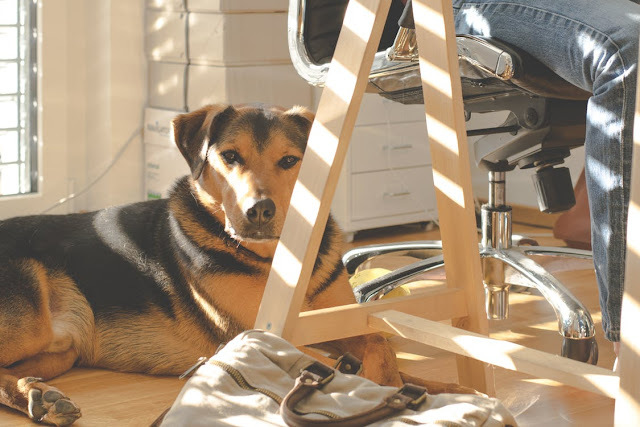 While it may seem simple to set up shop from your basement or spare bedroom/garage/home office space--there are some pitfalls that may trip you up along the way if you aren't careful. I know I made a few mistakes early on! What are six mistakes most people make when starting a home based business? Going 100% DIY. Starting a business--even one in your spare bedroom--is a serious situation. A business in the basement must adhere to all of the laws, regulations, requirements, and standards of a business in a "real" office building. While hiring attorneys and accountants and insurance agents are costly--the alternatives may be far more time consuming and costly in the end should you make early mistakes on your own! I was an intelligent, engineering consultant and technical writer. That was a great skill for operating my chosen, home based, consulting business--but, not for ensuring that I was operating in accordance with state and local laws, that all of my tax and legal paperwork was in order or in determining the best way to set up my business and its finances, invoicing and record keeping for tax purposes. While there are a ton of business startup information and checklists available online, it is still a really good idea to spend a little bit of money by consulting the experts in some legal, accounting and business matters. Hiring Friends and Family. Sometimes, hiring friends and family as startup labor is a great decision. They are often willing and ready to lend a hand--at a reduced salary or with no salary at all. However; many new business owners feel somewhat obligated to use cousin Larry for computer technical support or sister Sue for marketing--or feel guilty for turning down their offers of help. If those family employees serve your needs--it's a win-win situation. If they do not work out so well--then you have set yourself up for some awkward family/friend dynamics. Selling Themselves Short. So often, new home based business owners are so obsessed with making those first dollars that we are willing to accept anything from anyone who is willing to pay us! This underselling is especially true of freelance writers! If you have a talent, a service, or a product to offer--then you simply must believe that a consumer needs that talent, service or product. If they need it--they need to pay for it (and you deserve to be paid for it!). Make sure, from the start, that you set pricing and fees at a level that is appropriate for your niche--but, does not force you into starvation or homelessness. Limiting the Brand's Reach. I understand. You have an awesome niche in your industry to serve. By all means--capitalize on those niche relationships. But--don't forget that narrow niches sometimes dry up. I was an environmental engineering consultant--focused on hazardous materials and waste issues. I handled hazardous waste permitting, waste reduction plans, landfill permitting and design and other technical writing, plans and regulatory documentation related to waste. Period. Industrial companies face a comprehensive host of environmental, regulatory needs. I was limiting myself to only one or two of those needs. (And I was limiting my offerings to even my existing niche clients!) I had the experience, education, and ability to assist with air, water, and industrial safety topics and better serve my clients. And boost my bottom line with expanded services. Sometimes, you need to step just a step or two from your comfort zone and provide your expertise to a more diverse client base--as Marty Stallone discusses in his recent interview. Don't stretch yourself too thin--but, don't limit yourself out of the market either! Forgetting to Balance Work and Home. While it seems wonderful to roll out of bed and head downstairs to work--it's easy to forget that, suddenly, downstairs is work. It is absolutely necessary that the family accepts that although you are home, you may actually be "at work". It's also necessary that you learn to close the door to that home office and be "home" at times as well. This balance is a tough, tough, tough balancing act--and one that many of us fail at from time to time. It is a balance that home based business owners simply must find to see business success and a satisfying home life. Following a Passion without a Plan. Remember those business plans that you had to write back in Intro to Management 101 or that were suggested by the local Small Business Administration? While you may not have taken them very seriously--they really do matter when your business is your future. I am all for choosing a passion and turning it into a money making opportunity. In fact--I do recommend that your business is focused on a passionate interest. However, having a passion without a plan to turn that passion into a long term business venture means that you have a hobby from which may make a little money. Maybe. Be serious about your business plan and your company's goals. Put them into a real plan with real goals and real objectives. If you think you are "too small" to need a plan--you are so wrong. You are starting small--but, your future is limitless if you make a plan. I could list another 20 (or 50) mistakes that people make in starting a business--but, I have found these to be fairly common in my business ventures. I was not a business major in college. I was not born with parents ready to launch me into a CEO role. I have built a couple of businesses on shoestrings--as a mother of three--that work for my family, and I wanted to share some thoughts. I am not an expert. I just have some personal experiences (and mistakes) to share--and I welcome your suggestions in the comments as well! !